Ships tomorrow if you order in the next 16 hours 48 minutes. 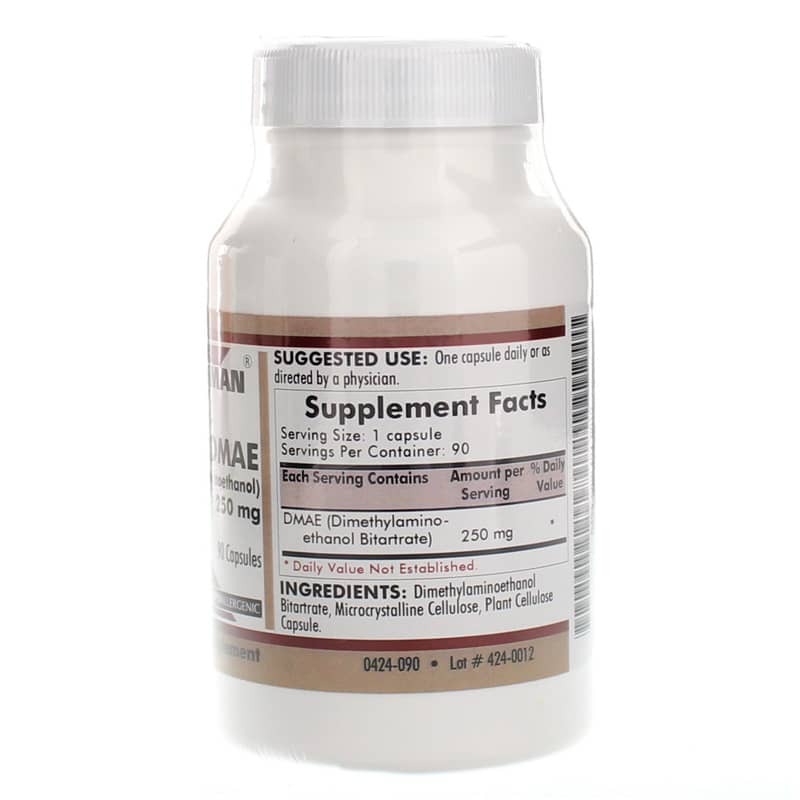 DMAE (dimethylaminoethanol) is a compound found in fish and is known for the healthy boost it can give your brain. 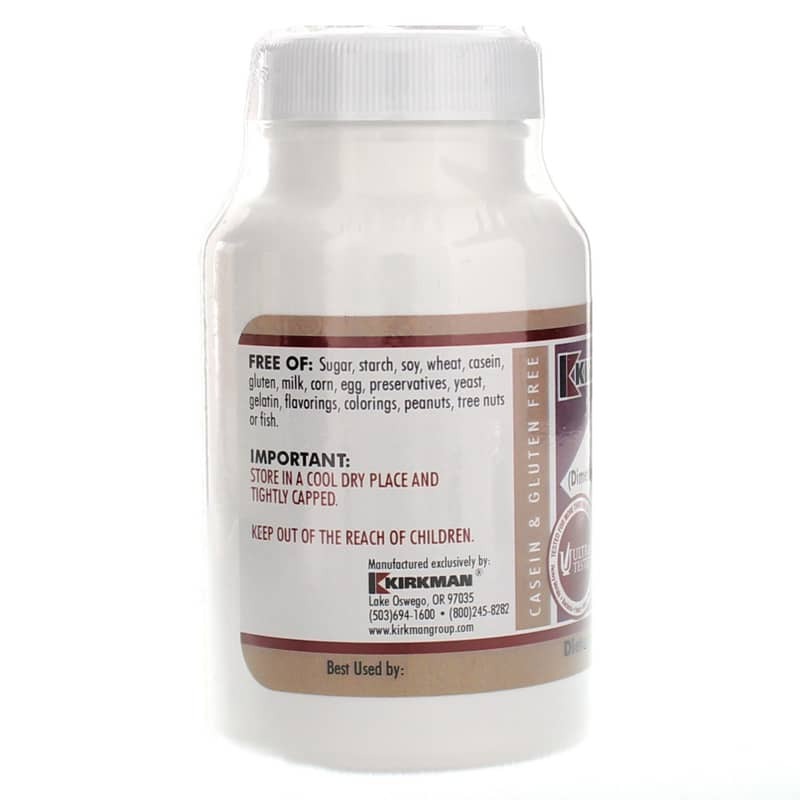 Kirkman offers it in supplement form in a product called DMAE (Dimethylaminoethanol) 250mg, a dietary supplement that provides support for optimal brain health and function. 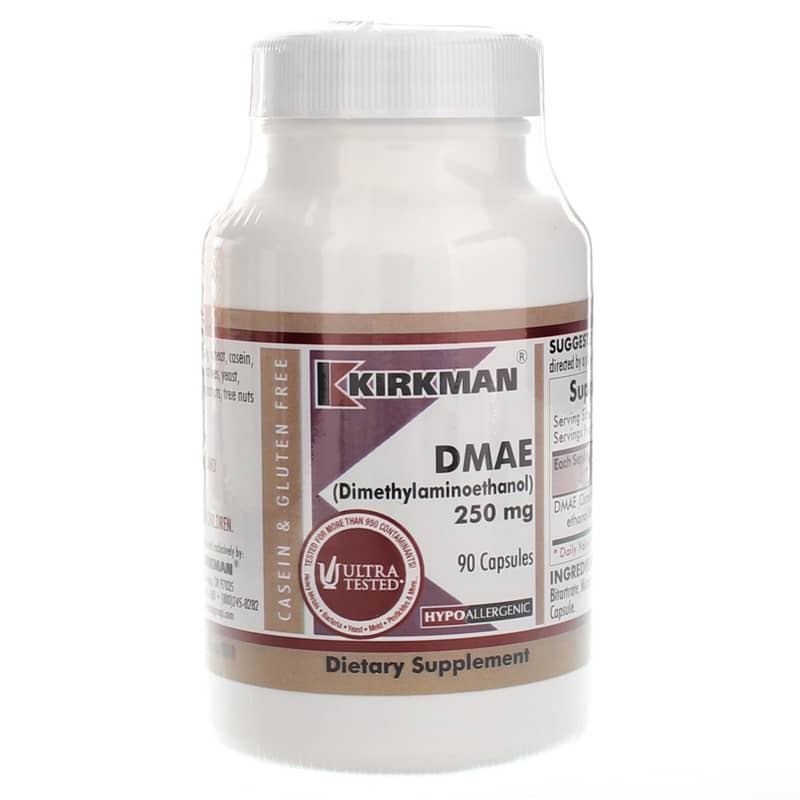 Kirkman's DMAE (Dimethylaminoethanol) 250mg comes in a hypoallergenic capsule form that is easy for adults of all ages to swallow. Just one capsule every day may help keep you on the natural pathway toward optimal overall health and an increased sense of wellness. Ingredients: Dimethylaminoethanol Bitartrate, Microcrystalline Cellulose, Plant Cellulose Capsule. Contains NO: Sugar, starch, soy, wheat, casein, gluten, milk, corn, egg, preservatives, yeast, gelatin, flavorings, colorings, fish, peanuts or tree nuts. Adults: One capsule daily or as directed by a physician.